It’s that creepy crawly time of year again, and we don’t know about you, but we think nothing says Halloween like a good–but ghoulish!–new song to learn on your instrument. Halloween season is also a great time to talk about diminished chords, dissonance, and strange or eerie sounds that your instrument can make. If you or your student is itching to learn some terrifying tunes, check out these great suggestions from our teachers, and a few more excellent ideas from around the web. Written by Andrew Gold, who also wrote “Thank You For Being a Friend” (which became the theme song for The Golden Girls), “Spooky Scary Skeletons” became a meme when paired with the 1929 Disney Short “Skeleton Dance” (featured below). “Kids love to sing the end when they get to shout boo!,” Ylva said. “It’s a catchy little melody that’s pretty easy to transcribe for beginners,” Steven said. This iconic song, written for Henrik Ibsen’s 1867 play Peer Gynt, has been covered in several genres, from jazz to metal to K-Pop! This innocent tune is always a classic, especially great for younger students. This signature song from 101 Dalmations is a fun and jazzy option. Plus there’s that cool Selena Gomez cover for extra inspiration, and it pairs well with a Cruella De Vil Halloween costume! This one’s *probably* a little before your student’s time, but still a great song! …which always gets the fingers snapping! The gang from Scooby Doo is always catching ghosts, making this song a great choice for catching the Halloween spirit! “Ghostbusters” / Ray Parker Jr.
Want to scare everyone out of the water? Learn this song and bring your keyboard to the beach. Some listeners rated this song as having the best opening line in a song: “I saw a werewolf with a Chinese menu in his hand.” Great lyric, but even better idea for a Halloween costume. Bonus points if you can do a Vincent Price imitation to complement your playing. Andrew was kind enough to share a PDF of a simple arrangement he wrote that is very popular among his students! Download here: Halloween Main Theme. Mallory Harding likes this compilation of easy Halloween piano music from Susan Paradis’s amazing piano teaching resources website. These songs are great for young beginners. In the classical genre, Bach’s Toccata and Fugue in D Minor is a great option, and here are 13 of the scariest pieces of classical music, according to Australia’s Limelight magazine. Here the Music Notes blog shares a list of classical piano solos that are great for Halloween, with links to digital sheet music for purchase. 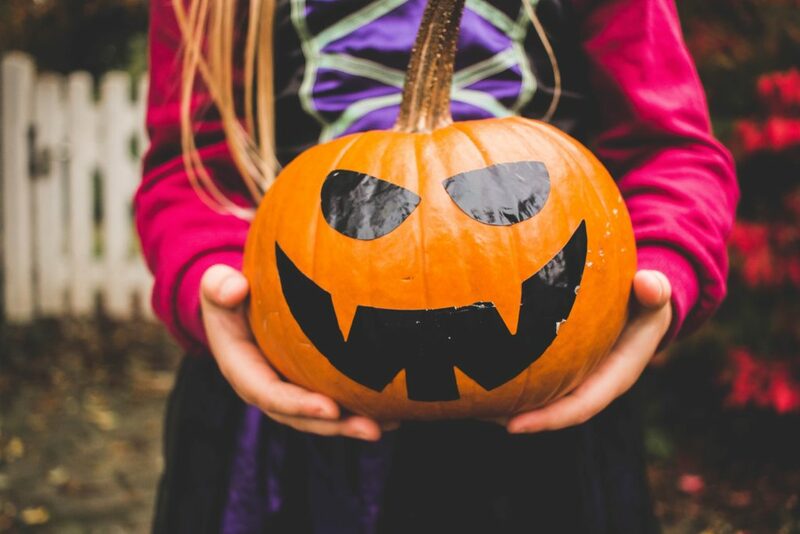 The ComposeCreate online resource for piano teachers offers this list of Halloween songs for piano, conveniently organized by student level. Severn River Music shares this list of popular and “less obvious” songs that are great for guitar and Halloween. Lucky Voice thinks these spooky songs are fun (and easy!) to sing. And just for fun, check out HelloFlo’s 5 spooky Halloween songs by female-led bands. So, what did we miss? We’d love to hear *your* idea of the perfect Halloween song!